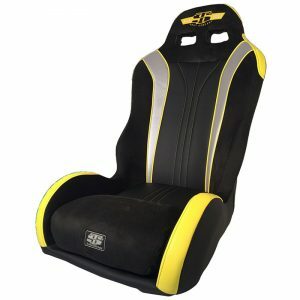 Simpson RZR 170 Vortex Suspension Bucket Seat. 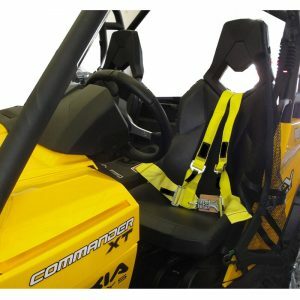 Simpson Suspension Vortex Bucket Seat available for most UTV Models. 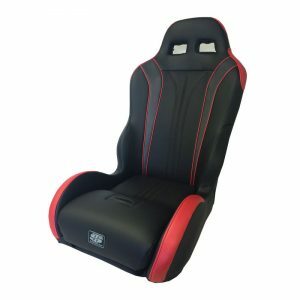 Innovative pass through shoulder restraint holes make this one of the nicest looking most comfortable suspension seats available. 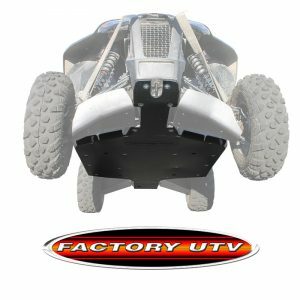 We pride ourselves in specializing in high quality, hand-made seats for all of the popular UTV vehicles including Polaris, Can-Am, Arctic Cat, Kawasaki, and Yamaha. Twisted Stitch Vortex Yamaha YXZ Suspension Seat . 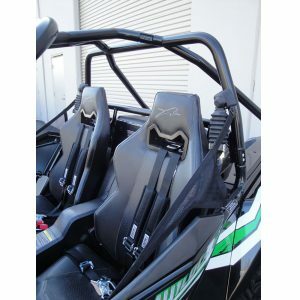 Twisted Stitch Suspension Vortex Bucket Seat available for the Yamaha YXZ 1000. Innovative pass through shoulder restraint holes make this one of the nicest looking most comfortable suspension seats available. 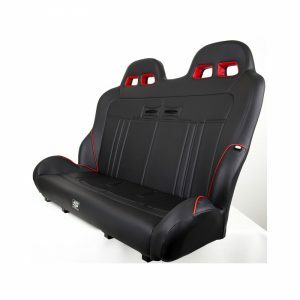 Polaris RZR4 800-900 Twisted Stitch Bench Seat. 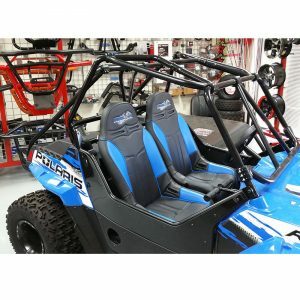 Polaris RZR 4 Twisted Stitch Rear Bench Seat. One of the nicest seats made for the RZR 4, allows a 3rd passenger in the back.